Over a significant period we have been web publishing or content management systems experts. Content management systems provide more out-of-the-box solutions to a whole range of features that people expect from basic editing through to displaying content items on a map. Interlated is about web application development and data driven web applications. We are an Australian based company that has delivered on sophisticated applications supporting marketing efforts, corporate sites and in-depth applications. We have built a large number of solutions in the past. It seems a shame that our customers can't just get the benefit of this work. To remedy this we host and provide a 'shopping cart' for people to get started with solutions. Is Drupal more User Friendly than Wordpress? Yes, well no... Well I mean yes. No? Yes? There have been reports of another high profile website, launched with performance and availability problems - the obamacare website e.g. Since website use with smartphones and tablets is increasing rapidly worldwide, it is now more important to design a layout which will work on these new devices. Different considerations are required when designing for smartphones, tablets, and desktop-size screens. It is important to design a website layout so is it presented consistently and seamlessly on any device. MountainRiver CMS develops brands for corporates and highly functional sites with presenting the various online faces of the modern corporate. 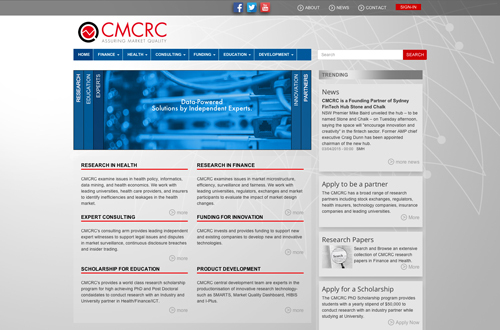 MountainRiver CMS can review the security of your infrastructure and web applications. MountainRiver CMS can test your site for performance, accuracy and functionality and write automated test cases. MountainRiver CMS can analyse your audience and keywords and review your content and information architecture. MountainRiver CMS can host your website, and monitor it to make sure it is working reliably. Running a software project? You will need someone to run scrum, provide version management, create test servers, handle builds, scrum software etc. MountainRiver CMS can help. Nihilne est in his rebus, quod dignum libero aut indignum esse ducamus? Rapior illuc, revocat autem Antiochus, nec est praeterea, quem audiamus. Order web design services. Design services that make your site look beautiful, use the latest techniques in catering for screen sizes and devices and is easy to use by site visitors. We can review the performance of the site. Some sites we have looked at we have reduced load times by 10 fold. We combine Drupal and CiviCRM to create powerful and good looking sites. 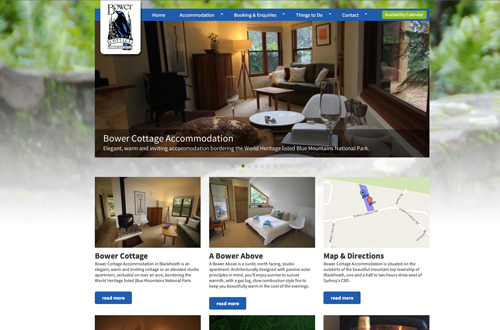 Bower cottage accomodation, corporate site. 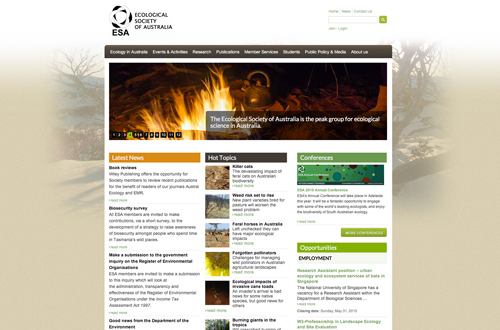 The Ecological Society of Australia is Australia's leading professional body for ecologists. Helping to enhance financial market integrity and developing the finest industry orientated PhD graduates and research.